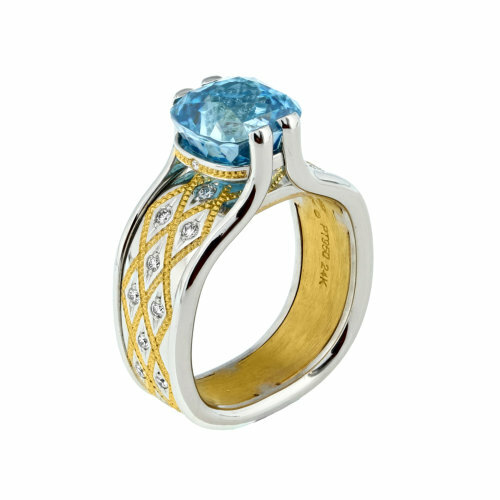 Stunning 6.05 ct. Blue Zircon cut by renowned gemstone cutter Phil Youngman, with Diamonds, Platinum and 24K Gold. 6.05 ct. Blue Zircon cut by renowned gemstone cutter Phil Youngman. Set in Platinum with 24K Gold shaped inlay and .15 ct. total of DEF color/ Internally Flawless to VVS clarity Ideal cut Diamonds.